Grammy award winning musician Peter Madcat Ruth visited B1 last night! He kicked things off with the Dave Brubeck number, Take Five, a tune he knows well from his time touring with the Brubeck brothers. But what was on Madcat's mind was a discussion about how thinking about good tone and an open chest developed while singing can definitely apply to harp playing. Your deepest, richest harp tone comes from the resonance chamber that is your body, so give it some attention and work to "open up". Once you've found that, you can then modulate from super deep to a thinner, brighter tone, getting what he refers to as a "phase shifter" effect when you modulate back and forth from deep to thin. He also advised that your hand techniques then compliment what's going on in your throat and chest. Add second and third layers of effect by varying your hand tone at the same time you're varying your throat and chest tone (or as Joe would call it, your head tone). He demonstrated other things too like his tonque trill and moving the harp side to side with his hands, saying that he doesn't like to do a head shake because his "brains are too loose"! It was a great night of technique discussion interspersed with stories of Horton harmonica lessons and other road stories plus a lot of terrific playing with the band. Thanks Madcat! Thanks also to Clay Kirkland who was in town visiting from Swallow Hill Music School in Denver and doing a workshop at Old Town over the weekend. He played a killer version of Help Me in class and it was great to have him visiting. Folks, Muddy Waters' house on the south side is listed on Landmarks Illinois' 10 Most Endangered Historic Places. It's in foreclosure and in jeopardy of being torn down. The Morganfield Foundation has formed to raise money to save this blues treasure and rehab it. Read about the effort and donate here if you can! New session started this week! Filisko & Noden House Party - Joe and Eric will be debuting all new material at the Gordon's on May 9. BYOB and plan to bring a dish to share. Suggested music donation - $10-15. RSVP info next week. Harlem Harp Party - this is a Filisko gig that will have a bunch of his harp-playing friends joining him on May 13 at the Harlem Avenue Lounge. 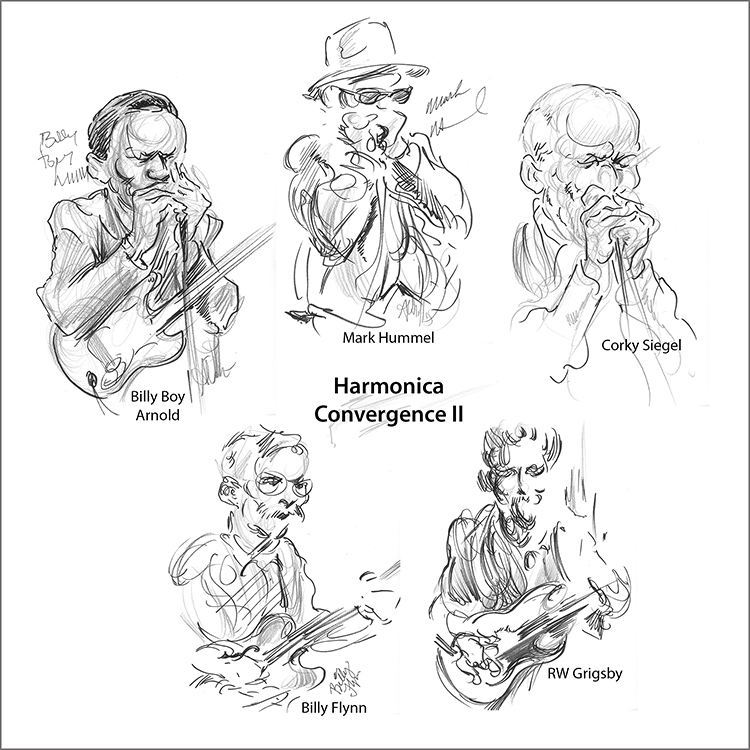 Midwest Harmonica Workshop - June 27 in St. Paul, MN featuring Filisko & Noden, Jimi Lee, Mike Fugazi, Todd Parrott, Brandon O. Bailey and more.